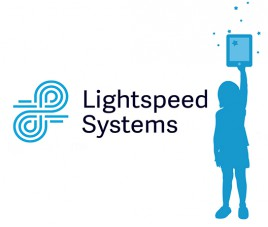 Lightspeed Systems, the provider of educational software solutions, and RealVNC, the original developer and global provider of VNC remote access technology, announced that Lightspeed Systems will be leveraging VNC technology as part of its educational solution, Classroom Orchestrator. Lightspeed Systems has integrated VNC into their Classroom Orchestrator product, a classroom management solution designed to give teachers a centralised view of students’ screens. As classroom sizes continue to grow, the use of mobile devices in class has also increased. Mobile devices can be an engaging tool for students; however, with a full class, monitoring these devices and ensuring they are being used appropriately creates classroom management concerns for teachers. Classroom Orchestrator solves that problem. Classroom Orchestrator is used globally by over 200 schools. It works together with VNC technology to monitor and control student devices efficiently and effectively. The cloud-hosted, centralised dashboard allows teachers to view multiple student screens in real-time. This level of monitoring helps to maximise student engagement, keeps students on task, and allows teachers to personalise teaching plans to each individual student. Teachers can identify students who are excelling and those who require additional attention by better understanding how much time is spent on-task. “To enhance our classroom management software, we licensed VNC technology as it offers a robust and reliable solution. We were able to work with VNC to deliver the solution to our customers quickly, in a cost-effective manner” said Rob Chambers, VP of Product Development at Lightspeed Systems. The VNC SDK provides customers with the necessary tools to build remote access into existing software on Windows, Linux, Mac, iOS, Android and HTML5-compatible browser-based platforms. “RealVNC’s VNC SDK enables organisations like Lightspeed Systems to integrate screen sharing capabilities using tried-and-tested technology to significantly reduce their time to market” said Richard Pickul, Strategic Alliances Manager, RealVNC. “As more organisations adopt BYOD, the need for these sorts of monitoring solutions will continue to grow, and we are well-placed to facilitate this growth with VNC SDK”.